Capital asset typically refers to anything that you own for personal or investment purposes. It includes all kinds of property; movable or immovable, tangible or intangible, fixed or circulating. Capital gains tax on Short term gains is unavoidable and no exemptions are available to minimize your tax liability. However, you can claim deductions to lower the tax liability on long-term gains. The various sections listed in the above table are the rules based on which the Tax exemptions on LTCG can be availed. Let’s us discuss some of the recent judgments given by various courts related to the above rules/sections and were in favour of Tax Assessees and advised the respective Assessment Officers (AOs) to accept the claims filed by the Tax Assessees. As per the existing law, the tax payer can purchase the new property and claim exemption on LTCG of sale of old property. What if the new property is acquired in joint-names? The law does not clearly say that the new property must be bought only in the name of the seller and not on anybody else’s name. Hence, there are interpretations that Joint ownership can be acceptable but exemption can be limited to the share of ownership. For example : If you sell ‘XYZ’ property and make LTCG of say Rs 10 Lakh, you can use the entire Long Term Capital Gain proceeds on sale of a residential house to buy another house property (residential property) to save Capital Gains tax. In case, you buy the new property in joint-name (self + Spouse names), the LTCG exemption can be limited to the share of ownership say Rs 5 Lakh in this example (if the newly acquired property is jointly owned in the ratio of 50:50). 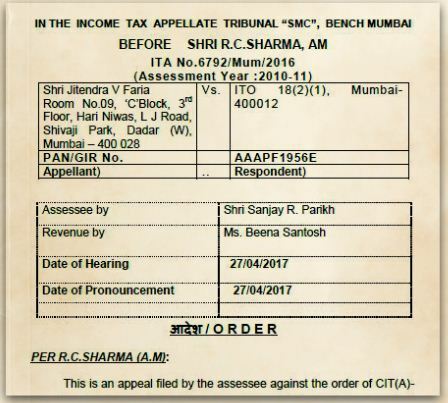 The Delhi High Court however observed that section 54F does not require that the new residential property should be purchased in the name of the tax payer only, it (Section 54) merely says that the tax payer should have purchased / constructed a ‘residential house’. If you are unable to invest in a new residential property, notified Bonds (Sec 54EC) etc., before the due dates to claim LTCG exemptions, you can deposit the LTCG amount in a public sector bank or other banks as per the Capital Gains Account Scheme (CGAS -1988). You can withdraw the funds from this account and can utilize for buying or constructing a residential house. 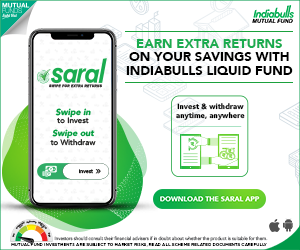 What if you deposit the LTCG in regular Term Deposit Account instead of Capital Gain Scheme Account? This is what had happened in the below case. The Tax payer has disclosed that LTCG has been deposited in CG Scheme and filed his ITR. 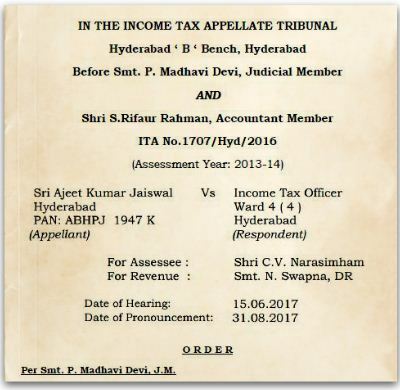 The AO during the ITR assessment, had sought clarification from the concerned bank and has been informed that the tax assessee has deposited the amount in normal Term Deposit instead of CG Account. Hence, the AO has denied the exemption. You can use the CG / Sale Proceeds to build a new residential house (Sec 54 / Sec54F). However, the construction has to be completed within 3 years. The Tax Assessee has used the Capital Gains to build new residential property, but the construction was not completed within 3 years. Hence, the AO has denied the claim on LTCG exemption. As per Sec 54 & 54F, the new property has to be acquired within a period of one year before (under-construction property) the transfer of the first house (or) within two years after the sale. The Tax payer has entered into a Sale Agreement to buy a new residential property, paid substantial amount to the seller (using the LTCG) but the Sale Deed has not been done. Hence, the AO has rejected the claim. As per Sec 54 & 54F, the new house can be bought one year before (under-construction property) the transfer of the first house. For example : If you had bought XYZ property in 2008, sold ABC property in 2009, then you can claim LTCG exemption on sale of Property ABC by disclosing that you have acquired property XYZ one year before the sale of property ABC. Let’s say you have entered into sale agreement to buy XYZ property in 2008, got final possession of property from the builder in 2010, you have also sold your another property ABC in 2011, can you claim LTCG exemption? As per the rule the property should have been acquired one year before, in this case its more than 1 year. Hence, the AO can deny your claim. Delay in possession of Flat? How to file Complaint against Builders under new RERA online? You are allowed to purchase or construct only one new asset from the capital gain that accrues. This means that you cannot make multiple property acquisitions and thus seek to reduce your tax outgo. However, if you sell more than one property, you can invest the resulting cumulative capital gain amount in a single new property. Let’s say you sell a large piece of land, enter into a joint-development agreement with a builder, in such a scenario, you may receive more than one residential unit under your share of ownership. Is it possible to claim exemption on LTCG on sale/transfer of Land? 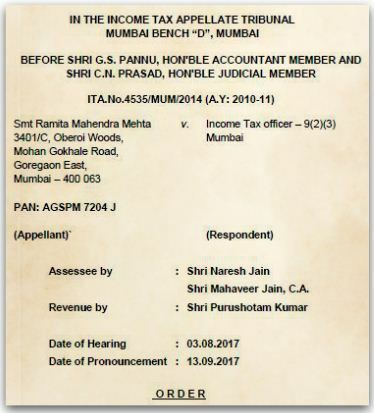 As per the below court order, it is not a statutory obligation on the part of an assessee to file his return of income within the stipulated time period contemplated u/s 139 or 148 of the ‘Act’, as a precondition for entitling him to claim exemption of LTCG. The belated return (the ‘return of income’ filed by the assessee after the expiry of the time period) can still be considered as a valid ‘return of income’ u/s 139 and claim of exemption u/s 54F can be allowed. In most of the ‘sale of property’ cases, the amount of LTCG involved can be huge, hence many of us do try to look at the possible legal ways to minimize (or) reduce the tax impact. So, when you claim these LTCG exemptions in your ITRs and in case AOs rejects your claims, suggest you to consult a CA/lawyer and approach the court of law (if your case/claim is a genuine one). How to set-off Capital Losses on Mutual Funds, Stocks, Property, Gold, Bonds & Debentures? Hi Sree, My Father sold a residential property. Now we are planning to buy apartment in joint name with LTCG amount. Still he can claim 100% LTCG exemption. I saw court order but still want to confirm as no such IT rule. I believe that one can also re-invest the proceeds in Old/under-construction/re-sale property as well to claim tax exemption (subject to timeline condition). Was expecting an unambiguous reply? I have purchased a under constructed property from Godrej Developers with my husband in Jan 2015 (50:50). Over 3 years, we have made substantial payments. Now what is pending is the last stage payment and stamp duty and registration. The possesion of this flat will come in Sep/Oct 2018. I sold my one flat in Jan 2018. I will use the gains proceed to pay the balance amount and also the stamp duty and registration charges for my portion of ownership. Can the date of possesion of this flat say Oct 2018 be considered under the criteria of forward purchase of 2 years from the date of sale of the flat in Jan 2018. Or will this be denied in your opinion? Though you have paid substantial amount to acquire your second property, but these payments have been going on for more than past 1 year. I believe that you can not claim LTCG exemption. 1.We currently stay in our own house which is in my parents ‘ name. If they buy a flat, keep it for 24 months and then sell it will they be allowed to avail LTCG benefits since they already own a residential house other than the flat. 2.Or will it be advisable to buy the flat in my name since i still don’t own any property in my books and then sell it in order to avail LTCG benefits. Suggest you to kindly go through this article @ How to save Capital Gains Tax on Sale of Land / House Property? 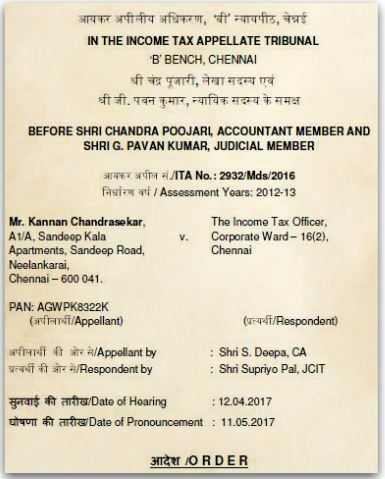 I had purchased a flat in april 2017.Now in april 2018 i am selling my house (pagdi house) for which an agreement is signed by all the parties but it is still not registered.Can i claim cap gain exemption for flat purchased in 2017. Dear Ozer.. You can not claim tax exemption as your capital gains (if any) are short term in nature and no exemptions are allowed on this. 1)Should the construction be completed before 08th Jan 2018 or 16th Feb 2018) as the sales transactions occured on 2 different dates. 3)What is the tax liability if the house is NOT constructed before 16th Feb2018 or if partially constructed before FEB 2018. 4)Are Legal expenses,plan expenses,approval expenses considered in the cost of construction. 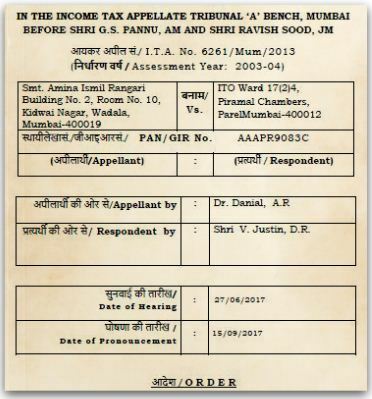 5)During filing of IT Returns, what proofs to be submitted that the capitalgain was utilised for construction of house? 1 – You can use the amount within three years to construct a property (2 years if it is a purchase). 2 – Should be completed. 3 – If you do not utilize the amount within three years of the sale of the first property, such un-utilized amount will be treated as LTCG this will lead to taxation of the unutilized amount as long-term capital gain after three years of the sale of the first / original property. 5 – Whenever you file your income tax returns, you will need to furnish a proof of your CGAS bank account to get tax exemption. A proof should be attached along with your ITR form for each financial year. Kindly consult a CA. Your website is fabulous. I just chanced upon it yesterday and I’m sure i’m going to be coming back quite often. I request you to help me with this information. My mother passed away intestate, so my father and we 3 siblings inherited the house with equal share. We then sold the house on 27th june with an intention of reinvesting the entire sale proceeds. On Dec 27th, it would be 6 months since we sold the house. We are still in the process of finalizing the house, and one of us may join in joint purchase, or choose to invest in govt bonds. I’ve read somewhere that the time limit for investing in bonds is 6 months from the date of sale. So, can we now keep the money in capital gains account scheme and then shift to govt bond should one of us decide not to reinvest? once the money goes into capital gains scheme, is it free to be removed and invested in bonds, or should it go only in purchase or construction of property? As per the IT act, the amount has to be parked in CGAS with the intention to use the funds to buy a new house within two years or to construct one within three years. So, we can assume that the funds can not be withdrawn and then re-invest in Bonds, though this makes sense (and nothing wrong, if time-lines are met) but can be challenged by the IT dept. Thank you Sreekanth. I have one more doubt. We sold a house, so we can either buy a new house or construct a house. Now, to construct a new house, we need to buy a plot and then construct on it. so will the purchase of the plot also be considered for exemption, or will only the construction part be considered? If you plan to use the gain to build a house, it has to be done within three years of the sale of the property. Do note that ‘cost of land’ can be included in the construction cost. Kindly read : How to save taxes on LTCG on sale of property! my sisters have sold a jointly owned property, and now one of them intends to buy a plot in a BDA auction. Unfortunately, BDA rules do not allow sisters to jointly register a plot bought through action. Can one of my sister buy the plot, execute a deed to release 50% to the other sister, and then the second sister use her money to build the house? Under this scenario, will they be exempt from capital gains, because one sister has bought the plot and the other has funded the construction? If possible, could you kindly share a link which has info on this – ‘BDA rules do not allow sisters to jointly register a plot bought through auction’ ?? Regarding partitioning of property – Yes, a person can buy a property and can gift/relinquish a share in the property to another person (relative/non-relative). It results in co-ownership of the property. 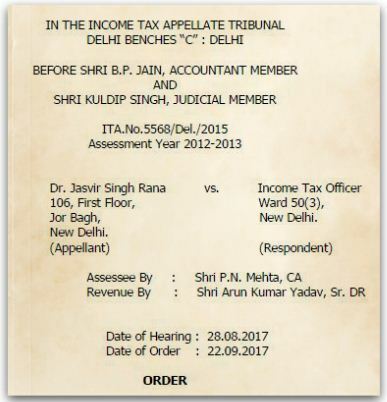 I believe both of them can claim tax exemption on LTCG (if any), subject to meeting of eligible criteria (on tax exemptions). 5 ways of transferring a real estate property! say i have sold my house for X amount and intend to reinvest the entire amount in buying a plot and constructing a house. What if the cost of the new plot is X +10%? I can still get LTCG exception if i build a house on it within 3 years? or will it be considered as ‘reinvesting in land only’ as the price of the plot is more than the sale proceeds of the house? Yes, you can still claim tax exemption on LTCG realized on sale of house property. By the way, until now I was thinking that stamp duty and registration charges comes to 6.65%. But the BDA site says it is 10%. Can you throw some light on this? Even I believe that stamp duty is around 6%, not sure if they have hiked it! As per KA Dept of Stamps & Reg, it’s still around 6%. Hi sreekanth. Wish u a happy new year!! I had identified a bda plot for purchase. The seller has 4000 sq ft, out of which he intends to sell 1300 sq ft. He actually has two plots with sizes 1800 sq ft and 2200 sq ft next to each other. From the 1800 sq ft, he wants to carve out 1300 sq ft. Initially bbmp had assured him that if he builds a small house in the middle of the two plots, then they will bifurcate n give him fresh khata. Now he’s saying that the bbmp has advised him to first register the property in my name, and then they will bifurcate. What’s Ur opinion on this? Thanks for the wishes! You too have a great 2018 ahead! As far as I know, the min plot area should be 600 sq ft after the bifurcation. So if a 1800 sq ft cant be bifurcated as 1300 + 500 sq ft plots. Hi Sreekanth, as per BBMP, the bifurcated plot should not be less than 50 sq metres (538 sq ft). So from 1866 sq ft, if he carves out 1300, he will be left with 566 sq ft, which should be fine. I’m only wondering how the sub registrar will register only 1300 sq ft to me when the papers say it is 1866 sq ft. Any idea on this? 600 sq ft clause – I have advised this based on my personal experience. As per rule book, you may be correct. But I have noticed BBMP (Bommanahalli) staff advising for min 600 sq ft. I believe, the registration can be done and then can apply for khata. But, the correct/ideal procedure should be, let the current owner get the bifurcation done and then you can ahead with the registration for one of the bifurcated plots. me and my wife had bought a property in 2000, and sold part of the property for construction of a house in the remaining land. I already owns another house in the city in my name. The new house is in both our names as the land belongs to both of us. Can my wife claim exemption for her share of sale proceeds which was credited to our banks in 50:50. You have bought the land long-back, hence can not claim the exemption. 1. If she pays 80 lakhs and my brother 20 lakhs plus the registration and other charges for the new flat, would she be eligible for exemption under section 54 and to what extent? 2. The ownership pattern of the new flat is proposed to be 80(mother):20(brother) and mentioned in the sale deed. Is such a thing okay? Kindly refer to the above point in the article – “Exemption U/s 54 cannot be denied for investments made in joint names”. As per the normal intepretation, she can claim 80% of LTCG as exemption as her share is limited to 80% in the new property, but referring to the above court order, she can claim entire LTCG. But do note that this is a court order and not an IT rule. 2 – It should be ok.
All your articles are very informative. thanks for sharing such a useful information. My Father in law had bought a 40’x 60′ site in Bangalore 30yrs back. Now, he wants to transfer the property in his daughter (my Wife) and my name. My income tax slab fall under 30% bracket. He has total 3 children. He has some other plans for them. 1. Best method of registering property in our names. I don’t want any kind of complication in later stage. Few people are saying Gift deed would be better option. your thoughts on the same. 2. 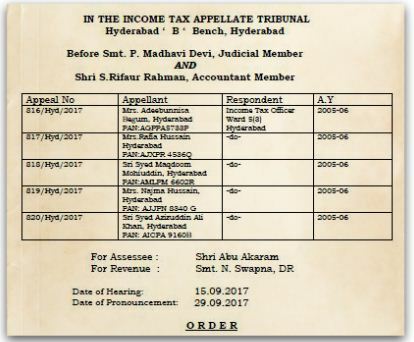 Any Tax to be paid for this transaction from my or my father in law’s side? Your valuable suggestions would be greatly appreciated. I am assuming that your Father in law would have acquired this through his own sources of income (self-acquired property). Yes, Gift deed can be considered in this case. You may request the other siblings to sign the Gift deed as witnesses. Gifts to daughter and son-in-law are tax-exempt. What is Ancestral property & Self-acquired property? thank you so much for the prompt reply.. yes it is a self acquired property. I need one more help from your side. Can you please share a draft of gift deed copy? If it is available with you. Kindly go through this article : 5 ways of transferring a real estate property (types of Deeds)..
thank you so much Srikanth. Will go through the provided link. Hi sree, in case of long term capital gains by sale of house, do I need to spend entire sale amount on new house acquisition or is it enough to spend the capital gains? Please clarify. You can use the entire Long Term Capital Gain proceeds on sale of a residential house to buy another house property (residential property) to save Capital Gains tax – Section 54. So, its only LTCG and not entire sale proceeds. Very useful information. Thanks for such a detailed article. One point which ineed a information is if repayment of LOAN/ OD from sale proceeds is considered appropriate. 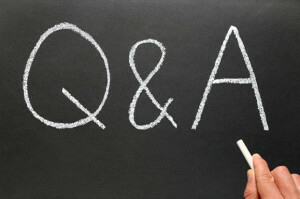 Dear Gopalakrishnan ..Kindly refer to our discussion in Forum Q&A..